Tracy J Wright, PT is a North Carolina native. She completed her undergraduate education at Elon University graduating with a degree in Exercise-Sports Science in 2008. Tracy attended graduate school at Winston-Salem State University where she completed her MSPT. After obtaining her physical therapist licensure, Tracy joined Guilford Orthopaedics in 2011. 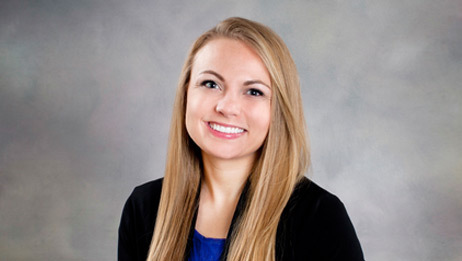 With a strong interest in evidence-based practice and continuing education, she plans to pursue a certification in Orthopedic Manual Therapy and Mckenzie Mechanical Diagnosis. While Tracy enjoys a variety of patients, her clinical interests include gait dysfunction, lower extremity biomechanics & orthopaedic/sports rehabilitation. She also enjoys the healthcare provider role of patient advocate with a focus on empowering patients though preventive education.